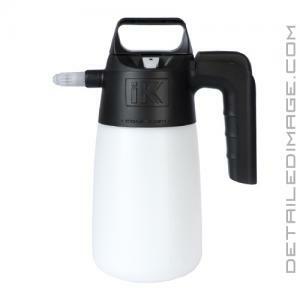 The IK Multi 1.5 Sprayer will allow you to easily spray your favorite detailing chemical onto the surface with ease! When using a traditional spray bottle, you can quickly become tired when having to pull the trigger over and over. The Multi 1.5 features a pump at the top of the bottle, allowing you to pump up the pressure and disperse your favorite detailing chemical with the simple push of the thumb trigger. Hold the trigger and the product within the bottle will be dispersed until the pressure in the bottle has been completely released. This not only saves you the effort of multiple trigger pulls, but can save you valuable detailing time as well. 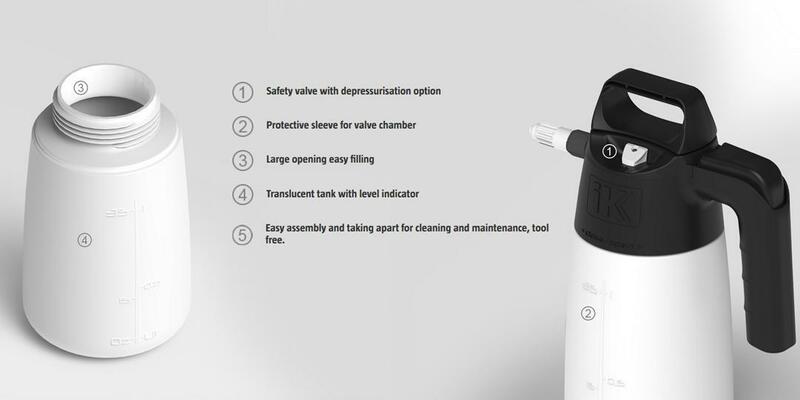 This bottle features a safety valve with depressurization and a protective sleeve for the valve chamber. This protective sleeve works optimally with disinfectants, neutral products, and acids. It is also suitable with solvent-based pesticides, alcohols, and oils, solvents and petroleum by-products. 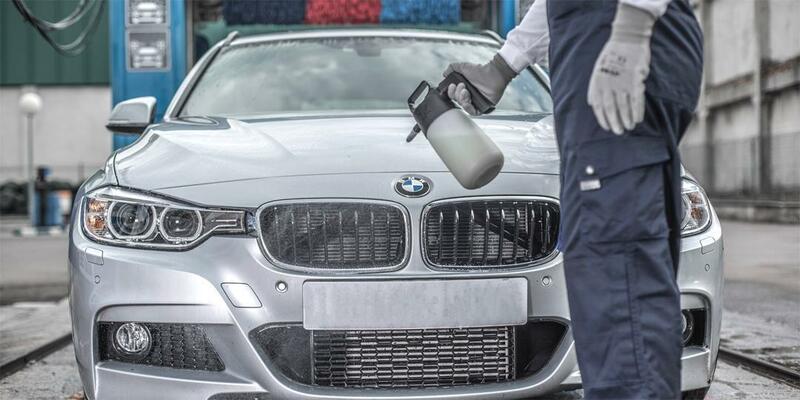 Pick up the IK Multi 1.5 Sprayer and save valuable time when applying your favorite detailing chemical! Working on larger areas or need a larger workable capacity in the bottle? Check out the IK Multi 9 Sprayer.